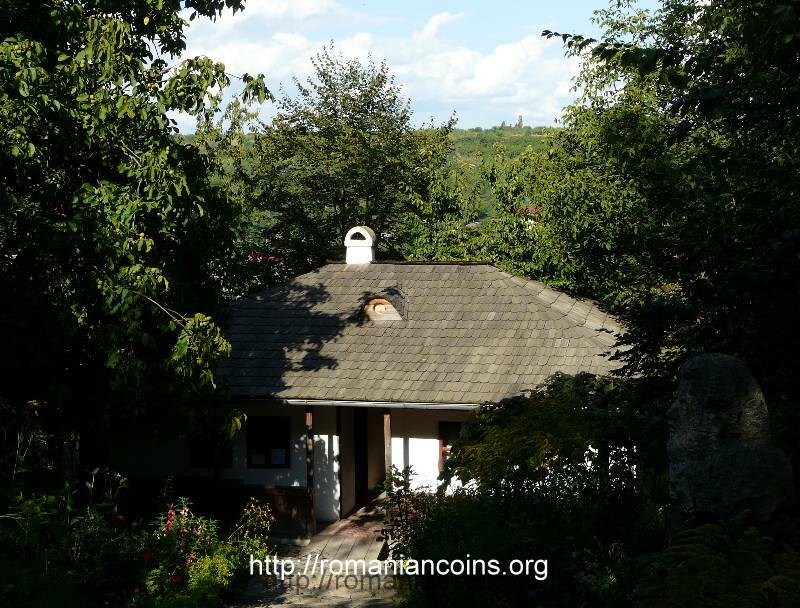 The two coins with Ion Creangă belong to the series Alley of the Classics from the public garden "Stephen the Great and the Holy" in Chişinău. To the same series belong two coins from 2010, dedicated to poet Grigore Vieru and two coins from 2011, dedicated to Bogdan Petriceicu Hasdeu. 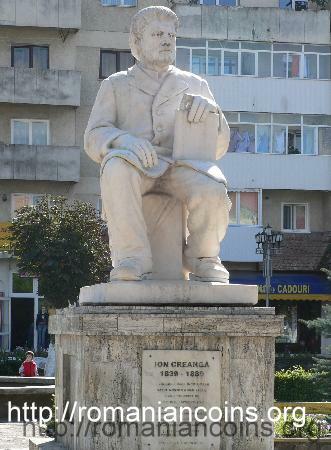 Ion Creangă (1837 - 1889) was born at Humuleşti, near the city of Tîrgu-Neamţ, the county of Neamţ. 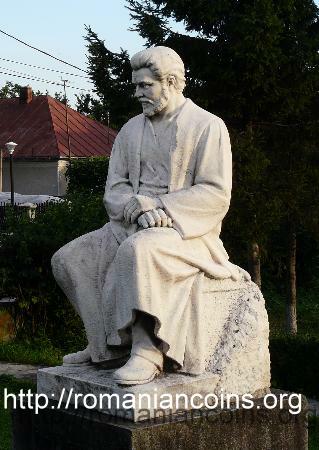 In 1855 he came to Iaşi for studying at the Socola Theological Seminary. Creangă was ordained as deacon in December 1859. (The role of the deacon is to support the priest or bishop to fulfill the rites. Alone he cannot perform any of the sacraments.) 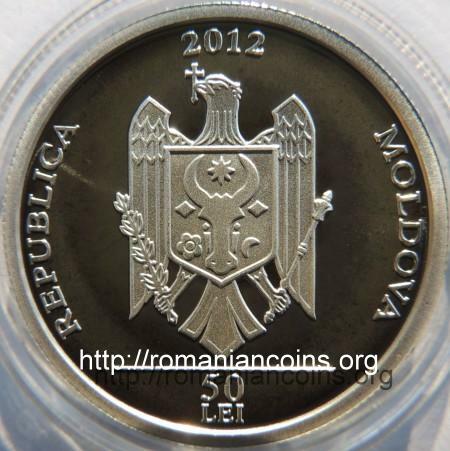 Over to 1871 he served at the following churches in Iaşi: 40 Martyrs, Bărboi, Holy Pantaleon and then at Golia. In 1871 he was forbidden from doing the works of deaconate, for the reason of having participated to a theatrical representation, for having discharged a fire gun in the yard of Golia monastery, and the fact that he was not living together with his wife (as his wife, herself the daughter of a priest, had left him even since 1867, leaving him as the sole supporting parent of their child) and for having his hair cut . That is, he got excluded from priesthood. He worked as institutor since 1864 and attended "Şcoala preparandală vasiliană", a preparatory school attached to the Trei Ierarhi monastery in Iaşi. 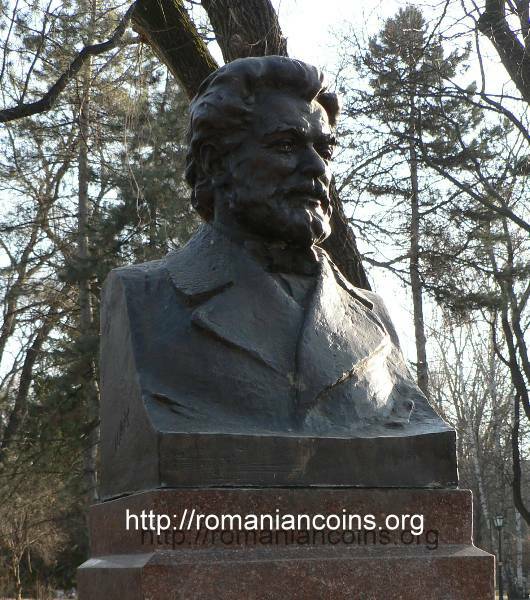 He was author of manuals, being also the first author of the first Romanian abecedary "New Method of Writing and Reading for the Use of 1st Primary Grade" (the second edition, printed in 1868 at Iaşi, cost 43 paras or 33 bani). 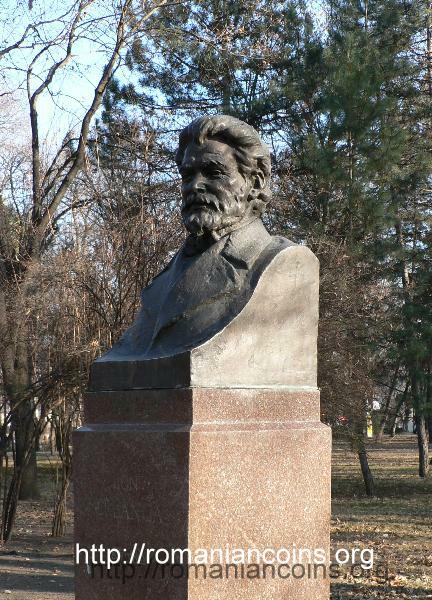 Evicted from the educational system in 1872, he had his position restored only after Titu Maiorescu got minister of education. In 1872 Creangă moved to a house in the outskirt of Ţicău. 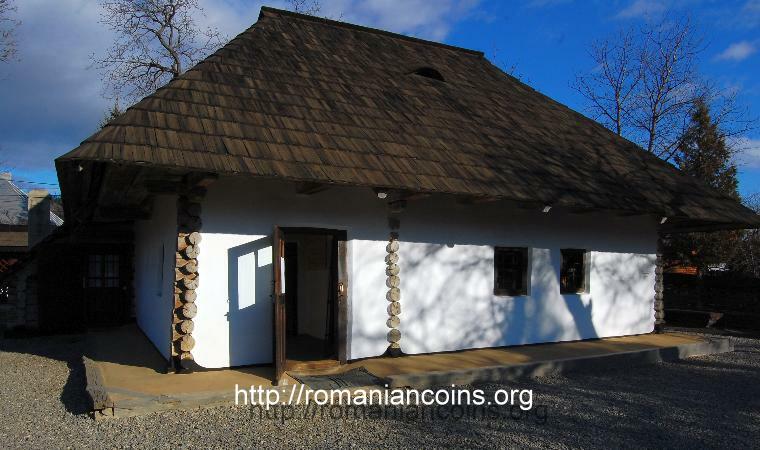 The "Bojdeuca [Moldavian regionalism] of a tiny house" which belonged to Creangă is today a museum, being also the first memorial house in Romania. 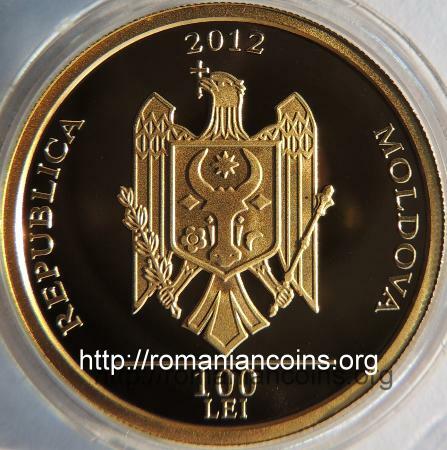 The pictures from Humuleşti are present on Romanian coins through the kind permission of Mr. Tiberius Ariton. He became member of the Literary Society Junimea [Youth] in Iaşi in 1875. He wrote stories, short novels, memories which he personaly read during the meetings of Junimea and published in the journal Convorbiri literare, the periodical of the society. 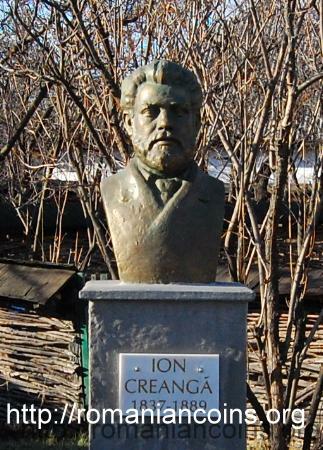 Although restricted in volume, his works brought him celebrity and the gratitude of the Romanians, today Ion Creangă being one of the greatest and most popular Romanian writer. 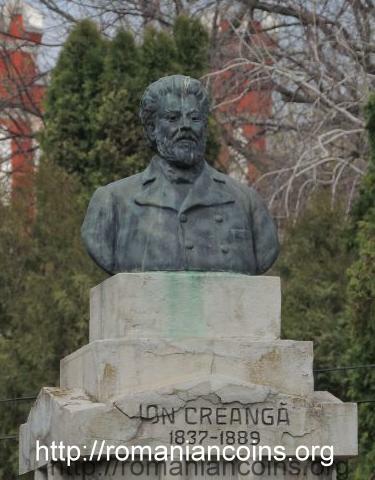 Creangă was a very good friend of Mihai Eminescu, the Romanian national poet. 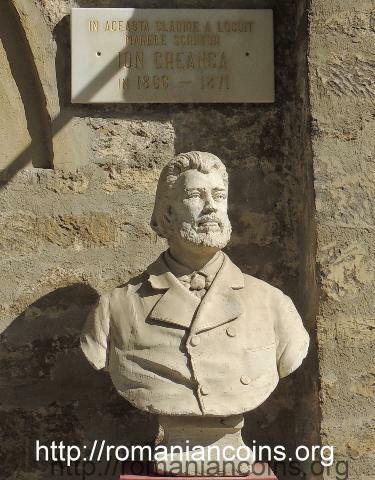 A quote from Iacob Negruzzi states that: "Intimate friend of Eminescu, Creangă was mourning, during his days of health, the insanity of the poet, while Eminescu, in his lucid moments, shed tears about the disease of the story teller." . 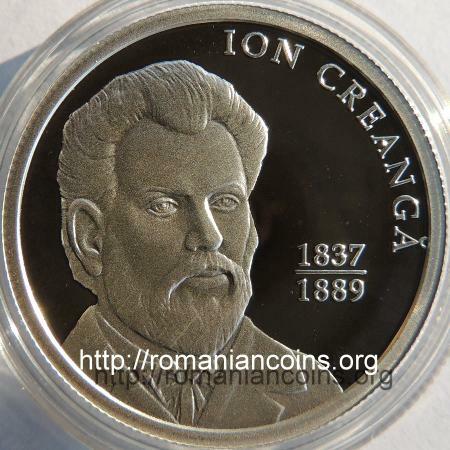 In 1948 Ion Creangă was posthumously elected member of the Romanian Academy, alongside poet Mihai Eminescu. The memory of deacon Ion Creangă was posthumously rehabilitated, in 1993, as Moldavian metropolitan Daniel annulled the exclusion of Creangă from the clergy. 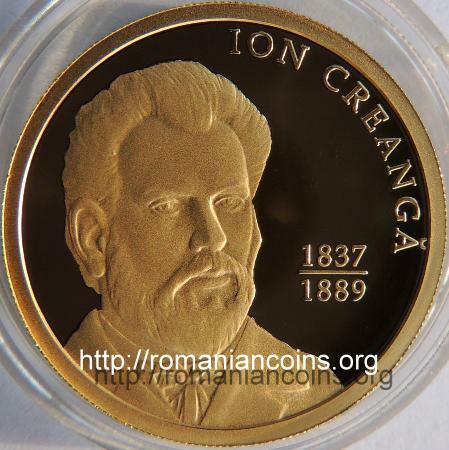 Together with Mihai Eminescu, Ion Creangă is credited for the creation of the literary Romanian language that the Romanians speak today. 1. Călinescu G., Istoria literaturii române de la origini pînă în prezent. Editura Minerva, Bucureşti, 1982. 2. Negruzzi I., Scrieri alese. vol. 2, Editura Ştiinţa, Chişinău, 2002. 3. Parascan C., Preoţia lui Creangă. Editura Sagittarius Libris, Iaşi, 2003.